The cover for this month’s edition of Doctor Who Magazine has been revealed, featuring an image of the Fourth Doctor. 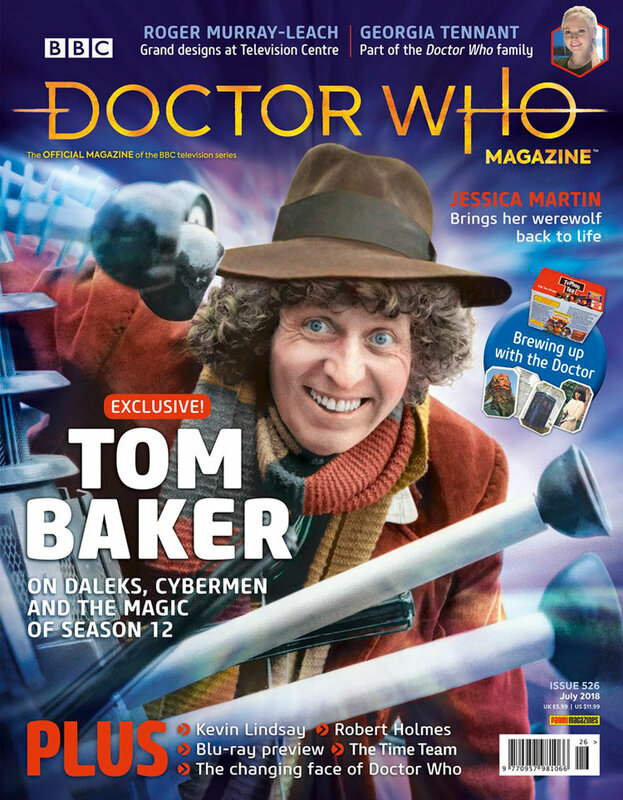 Doctor Who Magazine #526 features an exclusive interview with Tom Baker, who reflects on his first year as the Fourth Doctor ahead of the upcoming Blu-ray box set release of Doctor Who: The Collection – Season 12. Ten years on from her debut as the Doctor’s daughter Jenny, actress, producer and real-life Doctor’s daughter Georgia Tennant talks to DWM about her relationship with the show and reprising her role for Big Finish. Also interviewed are Roger Murray-Leach, who reminisces on his time as production designer during Tom Baker’s era, and comic-book artist Jessica Martin, who is bringing Mags – the werewolf she once played in Doctor Who (1988-89’s The Greatest Show in the Galaxy) – back to life as part of a new Seventh Doctor mini-series from Titan Comics. The latest edition of the magazine also contains the usual news, reviews and regular features, including the second installment from the newly-regenerated Time Team introduced in last month’s issue. Doctor Who Magazine #526 is on sale from this Thursday, 31st May, priced £5.99.